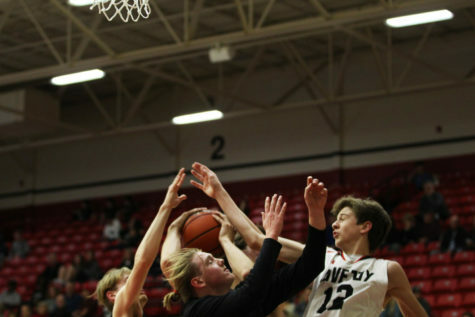 Senior Luke Ledebur attempts a pass to his teammate during last Friday's game. 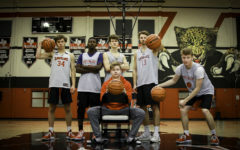 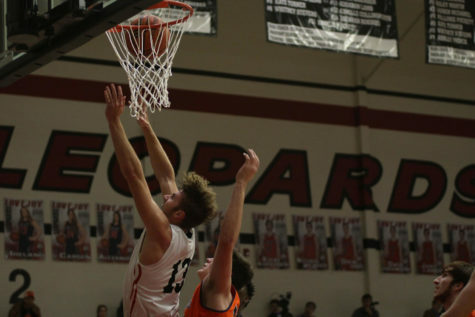 After a 49-42 loss to McKinney North (20-5, 4-0 in district) last Friday put an end to its undefeated district record, the boys basketball team (15-4, 3-1) looks to keep up with the top-seeded Mustangs as they host the Denison Yellow Jackets (15-6, 1-3) tonight for Teacher Appreciation Night at 7:30 p.m. 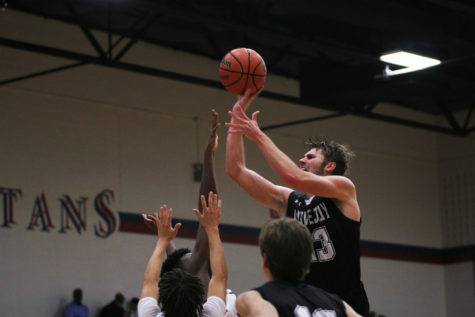 The team is currently in second place as they go into the final game of the first round of district. 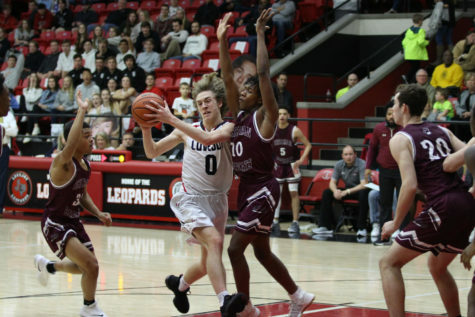 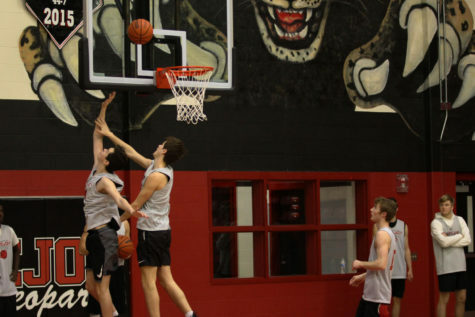 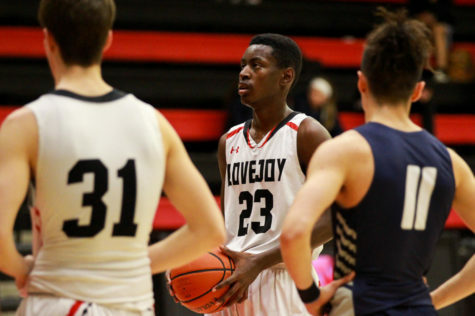 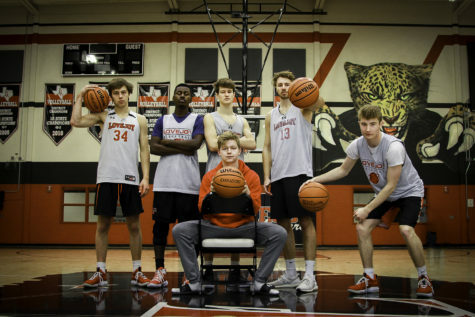 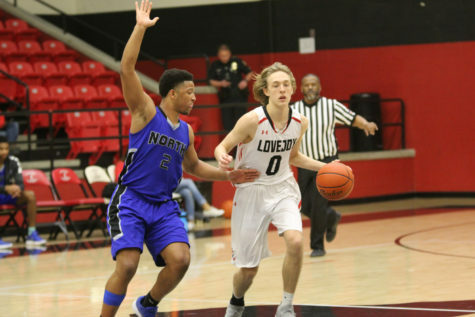 The Leopards regrouped on Tuesday with a 56-47 comeback win over Wylie East (15-9, 0-4). 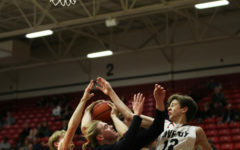 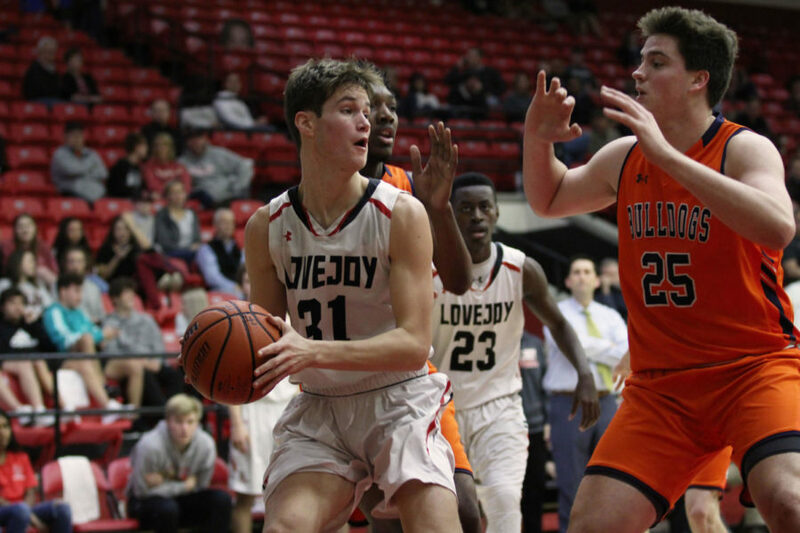 The team overcame an 11-point halftime deficit by putting up 19 points in the fourth quarter, while simultaneously holding the Raiders to just three points. 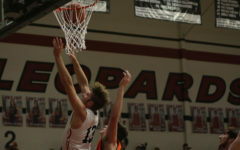 Senior Kyle Olson mentioned the impact that the team’s defense had on the outcome of the game. 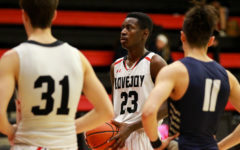 Herrema emphasized the importance of those kind of morale-boosting victories, especially as the team enters the heart of the district season.